One of the worst things you can do is over wash the cabbage. I dont wash the stuff I ferment maybe a little rinse if that to get dirt off. There is by far more good bacteria in this world than bad. Bactria we need to live. 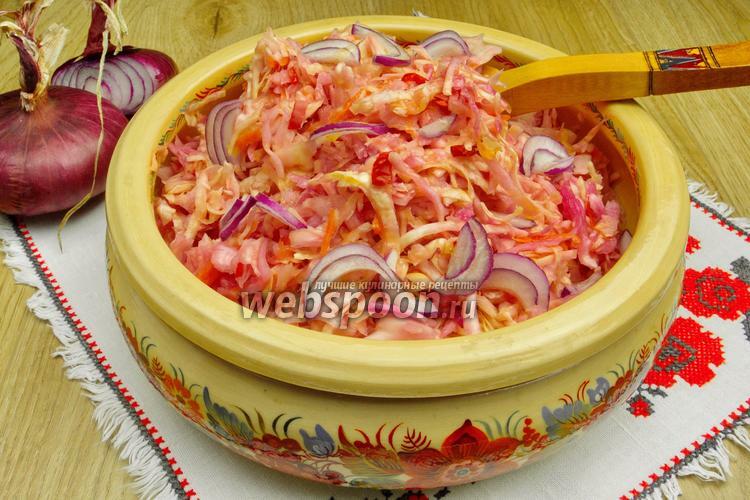 Pickled cabbage (Kvashennaya Kapusta in Russian) which is called sauerkraut is a very old traditional recipe/dish of Russian and Slavic cuisine. It has been for ages one of the main food to Russian people during the cold time from November until April along with stored cabbage, turnip and pickled cucumbers. They eat meat only for holidays during so many centuries before 1930s. It's interesting that pickled cabbage contains much more vitamins than fresh cabbage. It is usually served as winter salad here. And you also can make a sour soup from it called Shchi (Щи in Russian). We have many special cabbage varieties for pickling from Soviet Union times. Slava 1305, Podarok, Amager 611, Moskovskaya Pozdnyaya, Kharkovskaya Zimnyaya, Mara etc. They are midseason to late varieties. The best cabbages for pickling should be firm and 3-5 kg in weight. 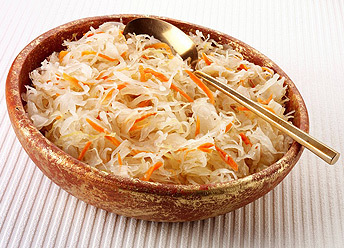 Usually we add shredded carrot, onion or even cranberries to chopped cabbage. Last edited by Andrey_BY; March 18, 2018 at 09:37 AM. Andrey, wish you were my neighbor..
Last edited by Andrey_BY; March 24, 2018 at 03:35 PM. Andrey, your sauerkraut looks much like my grandmothers did ( as I can recall from long ago! ), nice and plump yet, not stringy and gooey. She made several types, one of my favorites was made with carrots, apples and caraway seeds, another with some rye seeds as it fermented in HUGE old crocks! Sometimes she would shred some home canned red beets to add to the salad just before serving, to "sweeten" it, she said. Made me smile to see your pictures of your sauerkraut. I used to love most of what ever she cooked, she cooked everything on a huge cast iron wood range, maybe coal? I was only three last I saw her, so some things are not recalled well. Do you put the cranberries n while fermenting or at serving, raw or cooked? Last edited by imp; March 24, 2018 at 07:35 PM. Andrey, like imp, your posts remind me of things that were long forgotten from my childhood. My grandmother used to have many of the foods you describe when I was a very little girl (I never knew my grandfather). They are far back in my memory from 50 years ago. My mother aunt and grandmother would speak Russian/ Yiddish/German in front of me when they didn't want me to understand their adult conversations. They are all gone many years now. It is FREEZING here in Nebraska this spring. Please do come here and visit. You will see your fabulous tomatoes growing along side the local favorites. Lisa when do you start your plants in Omaha? I've got pots and soil for 92 plants. I just don't wanna start too early. The cabbage seeds has already been started. I'm talking about tomatoes to be clear. Out here in the panhandle I usually start April 1 but I usually can't get the plants into the garden until June 1 and I don't want leggy plants this year. I'm starting to believe the long legged plants are not the best to plant. I'm shooting for 12 inch tall plants instead of two footers this year. Maybe I should have made another thread but this is Tomatoville after all..